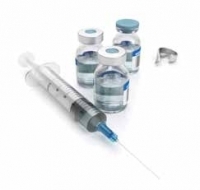 Spring 2015: Adventism’s Official Embrace of Vaccination: A Blessing or Curse? Summary: This is a response to the Adventist Review article entitled: Adventist Church Adopts Stance on Vaccines - dated: March 10, 2015 which was prepared by the Adventist Review News Editor. Many Seventh Day Adventists employ religious exemptions from vaccination for themselves and their children based on 1 Corinthians 6:17-20 which affirms that our bodies are God’s property and temples of the Holy Spirit which are not to be defiled under threat of Gods’ judgment. Manipulated, and exaggerated media coverage about a measles outbreak in southern California, has widely blamed an unvaccinated child for starting it without affording any evidence. In response as of mid-March 2015, there have mushroomed 110 bills across 36 states in the U.S. which are seeking to eliminate or unduly restrict vaccine exemptions, including religious exemptions. This is a well-orchestrated political maneuver to turn back the tide as millions of Americans are becoming alarmed and resistant to the medical establishment over the lack of efficacy and severe dangers that vaccination poses. This “Official Statement” of the Seventh Day Adventist Church endorsing vaccination has far more to do with getting on a popularized political bandwagon, than with sound health science, and the genuine interests of its membership. Indeed, it represents an insult to and betrayal of the unnumbered thousands of well-informed members who intelligently reject the big-pharma vaccine promotion agenda. This sizable community of Adventists see vaccination as a violation of good science, and that it is in direct opposition to New Testament teachings, and to the true health message as given under divine inspiration. Today the CDC mandates 36 vaccines by the age of 18 months, 68 vaccines until age 12 and the rate of autism, chronic illnesses and other neurodegenerative diseases has predictably soared from 1 out of every 10,000 to 1 out of every 88 American children. 1. The Vaccine Culture War in America: Are You Ready? The Vaccine Culture War in America: Are You Ready? 2. Blaylock, R.L., Vaccines, depression, and neurodegeneration after age 50 years: another reason to avoid the recommended vaccines, Medical Veritas, No. 5, 2008, pp. 1742–1747. 4. Ward, B.J., Vaccine adverse events in the new millennium: is there reason for concern?, Bulletin of the World Health Organization, Vol. 78, No. 2, 2000, pp. 205-207. 5. McKeown T., The Road to Health, World Health Forum, Published by the World Health Organization, Geneva, Switzerland, Vol. 10, 1989, pp. 410 and 411. 6. Pasteur Institute Press Release – Towards new vaccination strategies based on ‘non specific immunity’; August 1, 2000. 8. What’s Behind Big Pharmas Freak-out Media Blitz Over Measles? What’s Behind Big Pharmas Freak-out Media Blitz Over Measles? About the Author Dr. Raymond Obomsawin holds a MSc. and a PhD with concentrations in health science and human ecology. He has advised senior decision-makers in the public sector on various health, education, agriculture, nutrition, agro-forestry, and environmental projects. He has produced over 85 research papers and professional publications.